Finally, a game provider with professional expertise in bringing us the very first online versions of some of the most popular table games are here to bring us some extra thrills. This time it is a game that is commonly found in the US, in Canada, and even Europe, on over 1.000 tables – and a game that is now, for the first time brought to the online markets for the first time. We are happily presenting you to Lucky Ladies Blackjack from the brilliant Felt LTD! Some of the other games provided by Felt are Caribbean Stud, 6in1 Blackjack, Buster Blackjack, and Double Ball Roulette. Sounds pretty great, doesn’t it? It is time to find out more about this cool game, and see who will be the real lucky one today – let´s start! What is Lucky Ladies Blackjack? 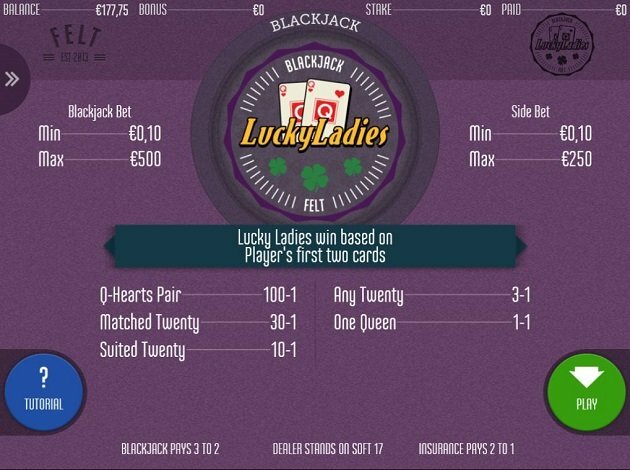 Lucky Ladies Blackjack is one of the most well-known Side Bet games in North America and is now for the first time being introduced to the world, both online and on tables. The game is played as a classic Blackjack game, with a twist of a Lucky Ladies Side Bet to it. The Lucky Ladies is a Side Bet that is completely optional, and you can simply choose to or not to place this extra bet. The game is played with six decks of 52 cards each, and up to three hands can be played at a time when in the desktop version. When you play via mobile, you can play one hand at a time. The first thing you need to do is to pick and place your bets, and you can choose the chip values from the chip selector at the bottom of the screen. You can pick and choose the number of your chips as you wish, and mix them, as long as you don’t go over the max bet. After choosing your bet, you need to make the first Blackjack Bet – note that this isn’t your Lucky Ladies Bet. You can see where to place the Blackjack Bet as the circles to put them in are highlighted on the table when ready. When the Blackjack Bet is placed and chosen, you have the option to place a Lucky Ladies Bet. You can only place the Lucky Ladies Bet after the Blackjack Bet has been placed and settled, and this one is completely optional. You can see where to put your bet as the circles of these starts to glow after the Blackjack Bet. Now that you have placed your bets and feel content with them, you are ready to start the game, and you do this simply by pressing the Deal button. The Lucky Ladies Side Bet wins if the first two cards dealt with your hand make a combined total of 20 or feature a Queen. The win multiple is based on the ranking of your cards as detailed on the pay table. An example is if you place a Side Bet of €5 and your first two cards dealt are of both a Queen of Hearts then you will win €500. This is then your €5 stake multiplied by 100, which is the return for a pair of Queens of Hearts. In its turn, you will actually win €505 as you will get your stake back. When the bets are all settled, and done, then you are asked to play your Blackjack hand, and it will always start from the right. The object now is to beat the dealer with a hand value total that is higher than that of the dealers but without going over 21. You can always see the value of the cards you have in the small black teardrops above the cards. The Lucky Ladies Side Bet wins if the first two cards dealt to your hand make a combined total of 20 or feature a queen. The top price is awarded for a pair of Queens of Hearts (the Lucky Ladies). Now, as you know – you need to beat the dealer with the 21 hand, and not exceed this. There are two outcomes of the game when all bets are made, the Blackjack hand dealt, and the Side Bets are made. If your hand is greater than the dealers´, then you will win 1-1 on the total Blackjack stake of your hand. If your hand is the same value as the dealers´, then it will be a Push, meaning it’s a tie. Your bet is then returned to you. If the dealers´ hand is greater than yours, he will win, and your stake is not returned. 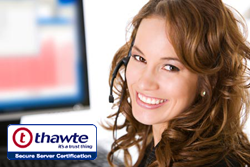 Are you ready to try out one of the most popular online versions of table games? You will surely not want to miss this! Who will be the lucky lady now?